You can stabilize your hand-held footage, rotate a video, and boost the contrast and colors. Try “I’m Feeling Lucky” for 1-click color correction. Or if you’re looking for a more dramatic change, try one of our effects (developed in collaboration with our friends at Picnik). And if you don’t like the new version, fear not: you can revert to the original and save again. 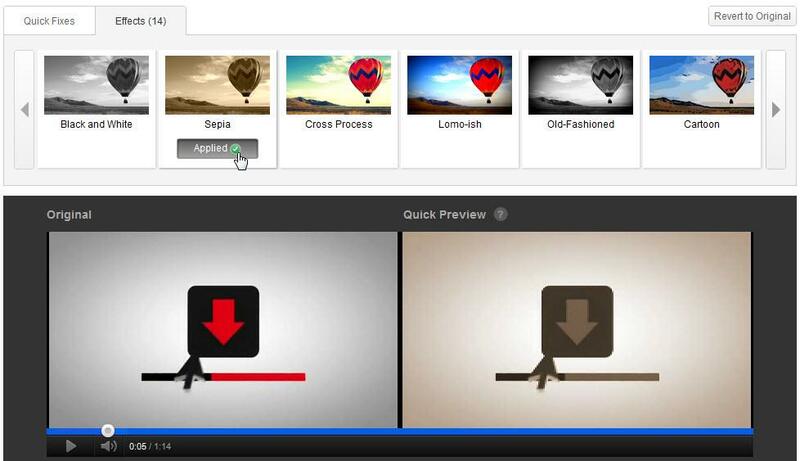 You can also save your edits into a new video and try out multiple versions. 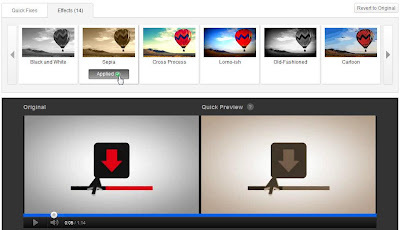 Note that popular videos with over 1,000 views and videos with third-party content can only be saved as new videos once edited (learn more).